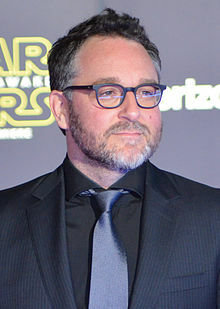 ^ 1.0 1.1 1.2 Colin Trevorrow. Independent Spirit Awards. [January 25, 2013]. （原始内容存档于2013年1月27日）. ^ Kit, Borys. 'Jurassic World' Director Colin Trevorrow Tackling Sci-Fi Thriller 'Intelligent Life' (Exclusive). The Hollywood Reporter. March 6, 2015 [March 7, 2015]. ^ Sneider, Jeff. Tisch School alum make Sundance impressions. Variety. February 6, 2012 [January 25, 2013]. ^ Rebecca, Ford. 'Star Wars: Episode IX' Sets 'Jurassic World' Director Colin Trevorrow to Helm. The Hollywood Reporter. 2015-08-15 [2015-08-16].